This deal expired 4 months ago . Expired 4mo ago . Last validated 5mo ago . Used 6 times. @carmendoro This deal was tested and worked as described. Add indicated products and apply the code at checkout to get the discount. 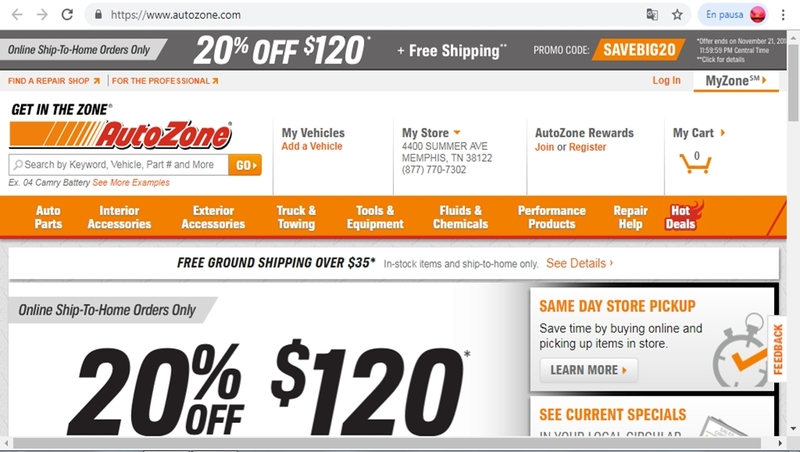 Reina Castrillo This deal works as described, enter the promotion code SAVEBIG20 during checkout to receive 20% Off on Orders $120 + Free Shipping at AutoZone (Site-Wide).